An interactive kiosk is a multimedia enabled computer system that provides information and services. Useful information can be provided to customers and visitors in a fun and interactive manner, through the touch screen interface of a kiosk. Self service kiosks permit users to carry out business transactions through a kiosk. These include ticketing, registration, feedback, check-in, etc. Peripherals attached to a kiosk, such as cash dispensers, card readers, printers and scanners, help customers carry out these transactions quickly and easily. Kiosks are an excellent tool for businesses to interface with non-tech-savy customers in an electronic way. They bring down transaction costs while increasing customer satisfaction. 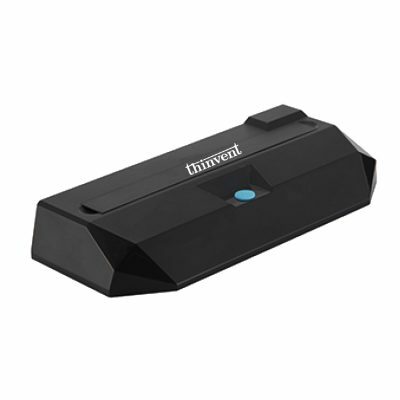 Thinvent provides you with a one-stop solution for all your kiosk needs. In the last two years, more than a thousand kiosks have been deployed using our technology. Interactive kiosks can introduce your organisation to visitors, and provide information on products and services. The kiosk provides a way for users to register themselves for future updates by email or post. User feedback can also be registered and sent to your sales or customer service department. Ticketing kiosks can be used to sell travel, entry and lottery tickets. They are increasingly being used by transport companies, amusement parks, stadiums and lottery companies in India. Check-in kiosks are used at airports by airline companies, to provide quick check-in services to business passengers who do not carry check-in baggage. Reservation kiosks are used by hotels and transport companies, as well as their agents and travel websites. Prepaid services, such as telecom, DTH, toll tags and metro cards, can be recharged by consumers at kiosks. Such kiosks provide payment through cash, debit and credit cards, direct debit from bank account, and payment from smart card based cash cards. They can also update user smart cards directly. Banks are one of the lead consumers of kiosks, and use them to provide customers with cheque collection, token dispensation and passbook updation services. This includes the embedded computer, touchscreen, printer and other peripherals. UPS and network connectivity are often built into the kiosk. The operating system, remote management and monitoring, multimedia content management system, and application stacks, are an integral part of every kiosk. The chassis encloses all the hardware components within an aesthetically appealing outer body. The strength and durability of the kiosk chassis are very important if it is placed in a public area. The multimedia content that users browse through, needs to be custom developed for each project. This includes text, audio, video, background music, animation, and menu systems. Transactions are carried out on the kiosk through local or web based business applications. These applications utilise various peripherals such as card readers and printers to automate tasks and deliver quick service. 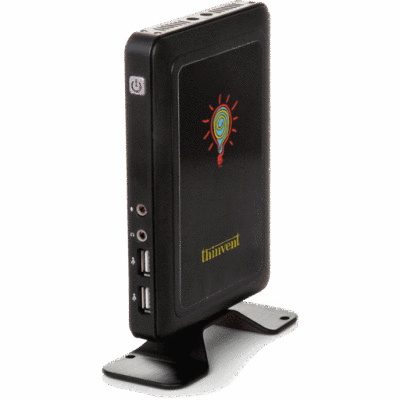 Thinvent provides you with the complete hardware, software and application for your kiosk. 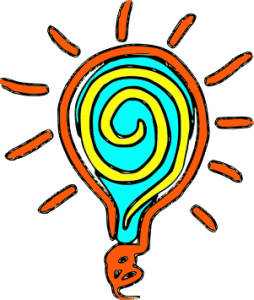 Chassis and content creation are more design than technology oriented. We have thustied up with two of the best chassis and content design houses in India, who participate with us in all our projects. Thinvent is the indisputable leader in providing kiosk solutions. We provide customers with a robust, reliable and long lasting kiosks, that are easy to maintain and service. 1. 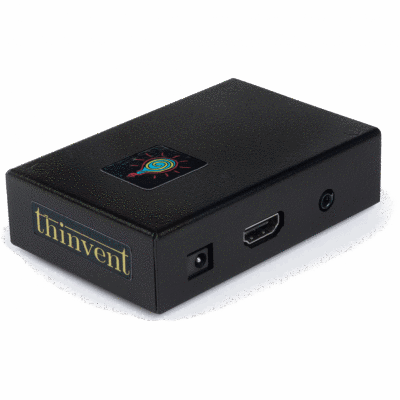 Robust and Secure:The Thinux Kiosk operating environment developed by Thinvent, provides you with an OS that simply never fails. All the software that you require to run a kiosk, is bundled with Thinux.The inner workings of the kiosk are never exposed to users. This creates a high level of security, critical in financial transactions such as banking and ticketing. 2. Quality Hardware:The core computer running the kiosk has no moving parts. This eliminates any break downs due to wear and tear or dust accumulation. Reliable flash based storage ensures crash-free usage for many years.We use 3M Cleartek capacitative touchscreens in our kiosks. The monitors, thermal printer mechanisms, smart cards readers, and other critical components, are carefully chosen to ensure years of trouble free service. 3. Stable: A kiosk is your representative to your customers. It should not get stuck with error messages all over the screen. Thinux ensures that if the network connectivity fails, or the backend is experiencing problems, the customers are presented with a pre-designed error page and nothing else. 4. Versatile: We provide integration with a mind-boggling array of peripheral devices. Biometric scanners, touchscreens, thermal printers, GPRS modems, large plasma displays, smart card readers, bar code scanners, cameras, LED displays, serial data loggers, relays, breath analysers, UPS battery level checkers, laser printers – these are just some of the devices that we have successfully integrated into kiosks for various projects. 5. Manageable: Remote management is a standard feature in all our kiosks. Numerous administrative tasks, including upgrades, shut-down and power-up, sending pop-ups to the user, and touchscreen calibration, can be performed remotely. Our management system is web based and not tied down to a single PC, letting your administrators fix kiosks from anywhere.A factory reset option allows the local operator to bring back the system to a known-good state. On booting up again, the kiosk settings can be restored from the central office. 6. Always-on Monitoring:All kiosks are constantly monitored for application and network usage, system temperatures and voltages, overload, component failure, etc. The monitoring system alerts the administrators at the central office, and sends an SMS to the operator on site, in case of a failure.You can view the screen of any kiosk remotely, and monitor usage. You can also operate the keyboard and mouse remotely, thus guiding new users over the phone if required. 7. Customisable: The entire user experience can be tailored as per your needs. Computing features such as right clicks that are commonly found in desktops but useless in kiosks, are disabled. 8. Wide Application Support: We support all web based applications. In addition, we support locally run applications built using technologies such as .NET, VB, Java, J2EE and GTK. Local SQL databases and web servers provide an unlimited potential for business applications to be deployed on our kiosks. 9. Experience: Our technical team has vast experience in the field of kiosks. 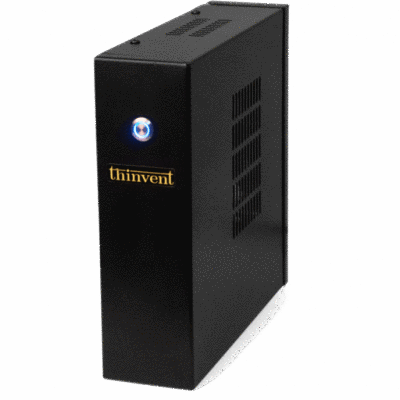 The founders of Thinvent have 15+ years of experience in hardware and software development. We leverage our knowledge in Linux, networking and embedded systems, to provide you with the finest technical solutions. Wall mounted versus floor standing kiosk. Wall mounted kiosks are bit cheaper, and require less space. However, they are aesthetically less appealing, and also offer very few options for peripheral devices. A basic wall mount design is pictured in illustration Illustration 3, while a floor standing kiosk is pictured in Illustration 4. A touchscreen is a basic requirement of any modern kiosk system. If the usage is very high, then the touchscreen can be augmented with buttons mounted on the side of the screen. Magnetic stripe card readers, to enable debit and credit card based transactions. Thermal printers for receipt or ticket printing. Smart card readers can be utilised in prepaid ticketing, DTH recharge, etc. A web camera can be used to monitor the usage of your kiosk. This helps you know your customers better. It is also a great way to increase the security of your kiosk and provide remote monitoring. Bar code scanners are employed in bill collection systems and lottery machines. Some bill collection systems prefer using full size sheet-feed scanners. Such scanners are also utilised in cheque collection systems. Cash collection systems are useful for any kind of payment kiosk, where the user base may not have access to cards. Cash and change dispensation systems are often preferred in conjunction with a cash collection system. Laser printers are used in duplicate bill issue systems. They are also used in HR kiosks to provide payslips etc. Good quality speakers are required if you wish to use audio in your application. Biometric readers are increasingly being used to increase transaction security. They can be used for two factor authentication in financial transactions. HR kiosks also employ biometrics to prevent misuse and detect proxy users. 2. The application software team then needs to understand your requirements. If the application is being integrated into an existing backend system, our application developers need to interact with the maintainers of this system. 3. Finally, our content designers need to work closely with your management, marketing, and other teams, and acquire the resources that they need to create your interactive content. Once the above tasks have been completed, Thinvent is ready to provide you with mock-ups and prototypes of the kiosk, application and interactive content. We thank you for your time and patience in going through this document. Feel free to get in touch with our sales team at the contacts given below, if you need further information.